This app makes updating and connecting to my Garmin 7610s a breeze. 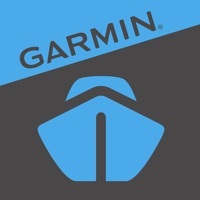 Keeps all my Garmin products up to date and easy to buy and upgrade charts. Best off all I can use it as a stand along GPS if needed and I can plan routes and waypoints directly from my couch!!! I have a Garmin GPSMAP 742xs and I can update software and download charts easily with the ActiveCaptain app! I love it. Active captain is great, no need to pull my phone out to see my text or see who called. All my messages are displayed on my screen. Nice to have my way points and tracks on my phone when I leave my boat. Great app. I use this along with a Garmin 7610xsv chart plotter. 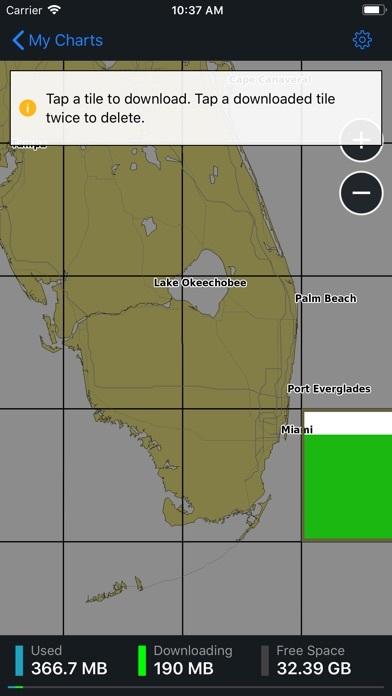 I love the local maps and the ability to use the chart plotter from the fly bridge. My only desire would be that it used my boat’s WiFi rather than the chart plotter when controlling the chart plotter. This app is extremely useful to sync and update charts between my phone and my Garmin Echomap. How is there no map information for Lake Norman, one of the largest lakes in NC. It doesn’t even show the outline of the lake yet Lake Wylie, a tiny lake has all the necessary information for navigation. My $1000 chartplotter is useless to me. 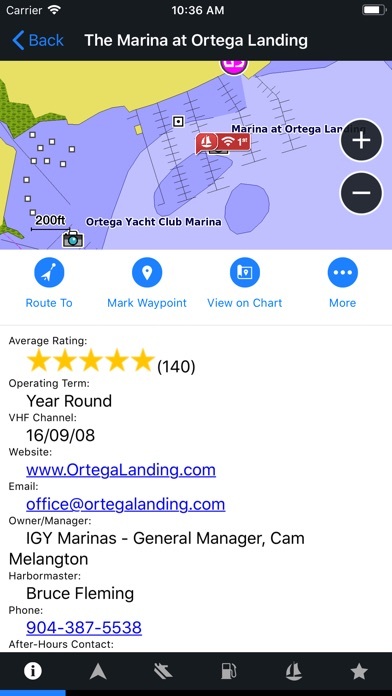 I understand that Garmin only bought Navionics last year and is still struggling to integrate that company’s superior charts, but this app is still really terrible compared to everything else in the Garmin suite of marine products. Needs far more reliable download ability when paired up with the plotter, and also the charts on the app itself have recently developed mysterious glitches like forced satellite shading of water areas unless one turns the detail level all the way down. Put somebody competent in charge of that group! On my iPad it crashes whenever I try to zoom in. And even though I have purchased the full US chart pack, and the serial number shows correctly, it won’t let me add a detailed chart for a region in Louisiana. Garmin, you knocked it out of the park! 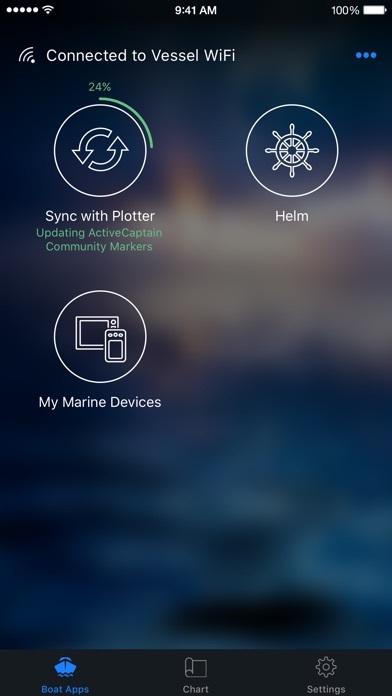 I pair the ActiveCaptain app with my Echomaps Plus 73sv & it’s like having a fishing guide with you. The best $500 I’ve ever spent on fishing gear. Very nice facility. Alie and crew will take good care of you. Was able to update and register my Garmin 1042xsv, Steadycast, and Livescope in a quick and timely matter. Loved doing it with the Wi-Fi on my chartplotter!! Garmin support is useless! App is a great concept but just doesn’t work. Chart updates have been broken for a very long time and Garmin just suggests checking the version. “Cannot connect to server” error persists. Have had issues with firmware updates in the past which wiped out an instrument. Garmin sent a refurbished unit for replacement. I do like Garmin’s integration however reliance on ActiveCaptain app is a big disappointment. Performs as expected, no issues whatsoever. Why it’s not available in Ukrainian AppStore? We have a lot of Garmin devices here. I have StrikerPlus 9 sv. Why I can’t use this app for updating of firmwares? When originally installed; everything was working. Then the detailed charts I loaded disappeared and now you can’t use the app for planning. Sort of kills the idea of the app. I don’t feel the connected boat thing. I cannot view or download the maps at all now on my devices. It looks like it’s not working correctly. Was working ok before the G3 map release and the new update. My guess is they are working out the bugs, but until then, this review stays. I will update my review when it’s fixed and working again. 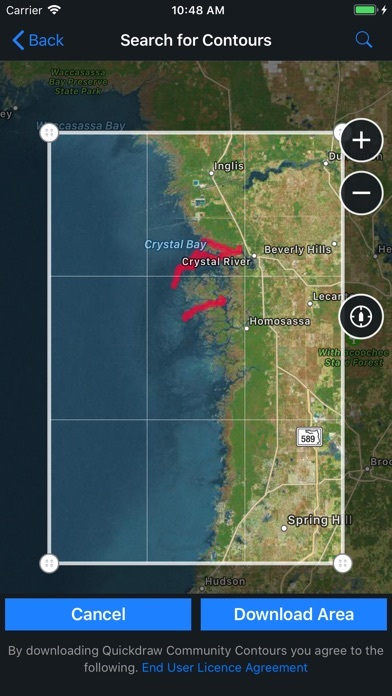 I did like the apps functionality since my boat is on a wet slip and I can use my app at home and sync to the boat when I get there so I can spend more time on the water and less time messing with a device. That’s the whole point right? Latest update - WHAT bug fixes? Publish real release notes! Garmin, please pull HELM back out of Active Captain! Helm has been totally dysfunctional since being integrated into Active Captain. There seems to just be too much overhead with whatever else is going on in Active Captain, and connection, updating and reliability of Helm has deteriorated to the point that it simply can no longer be trusted. I simply do not understand what you were thinking that it you thought it was a good idea to integrate it. I LOVED Garmin Helm as a stand alone product. Now: Connection is now problematic. The screen locks up. It repeatedly disconnects from the chart plotter. It has to be reconnected every time you want to use it. The chart plotter shuts off WiFi and Bluetooth and has to be reconfigured to start the session again! None of this is acceptable when you are on the bow trying to keep an eye on the depth to drop anchor, or navigate through shoals! It is dangerous. The last thing one needs to be doing is running back down to the pilothouse to reestablish a connection when what you need to be doing is paying attention to the work at hand! You have managed to RUIN a great product. PLEASE, PLEASE, PLEASE pull it back out as a standalone product. There is no rational need for it to integrated with Active Captain. It adds no value by having them integrated, and doing so has ruined the utility of Helm. Paid $85 to upgrade to G3 Vision charts and unable to download in the app. 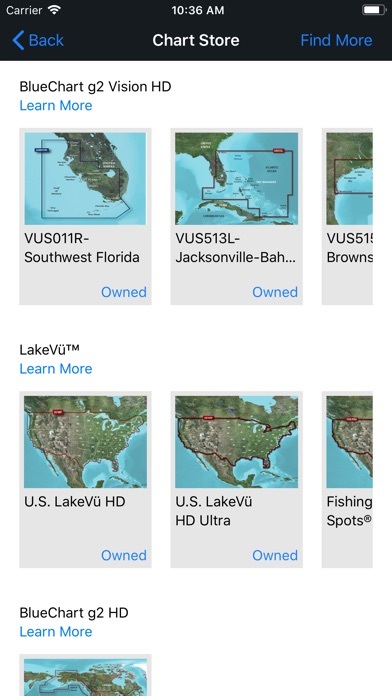 It is a known problem at Garmin so why continue to let people purchase the charts in the app when they can’t download them? Frustrating. Downloaded 14.2 app update today but it did not resolve the issue, still can’t download G3 charts. It seems like every time Garmin releases new firmware or charts you have to jump through hoops to get it to work. They apparently stage releases such that it often takes days or weeks from announcement to its availability in AC. Just updated my charts to 2019.0 version, and now when i touch a chart tile to download it, it just flashes and then goes dim again. I suppose i could dl the chart with garmin express and sneakernet it to my MFD, but it this point, I can’t be sure it wonʻt brick it. Stuck in limbo and $380 poorer. Update: with the new release tile downloading at least begins, but only makes it about half way through before it stops and dims the tile. Seroiusly Garmin. FIX THIS!!! I have really liked the app. Has made upgrading my software and charts easy and now connecting g with my phone and receiving texts etc on my unit without having to pull out my phone is awesome. Very pleased so far! Unable to download any maps. When tapping to select a square to download it turns green and then does nothing. Please fix this. Cannot use app to load charts to pre-fish a new lake. I thought this was a compliment to the Garmin Blue Chart app I purchased specifically for the Active Captain info. The best I can tell, they are now trying to force you to use this with a chart plotter instead of the IOS app. I was always a Garmin fan... not anymore. Ability to turn off and on the notifications in settings should be clearly identified. We came from Bequia down to Grenada for needed Northern Light genset Warrenty repairs as just @150 hrs on a brand new 9KW genset we had a fire on the wiring harness. After a series of issues Northern Lights recommended we go to Grenada. We cleared into Grenada customs on Carriacou at Tyrell Bay without any hassles. The genset repairs were done at Palm Tree Marine at Clark’s Court Boatyard marina on Grenada’s south coast. The work was well done by Palm Tree owner Mike and manager Sim and their good techs who were good mechanics, clean workers, and polite. Other tech’s that did good repairs for us were Simon at Navicomm Electronics, Horizon yacht services, Turbulence sail & rigging, Sea Safety dingy repairs, and North Yacht supply was helpful. I would use them all again. The Clark’s boatyard floating docks made easy access for repairs, the boatyard is primarily a Haul out yard for paint or storage, and is clean and well run, but the Marina shore power is very limited and we could not us it as we require 220v 60hz 50 amp. There can be a few mosquitos, but its not a problem. The prevailing SE wind blows down the harbor but the waves at marina is normally calm enough to not be a problem, there is plenty of anchoring area if needed. The marina resturant & bar “ADRIFT” is very good, and there are other marina bars nearby by dingy, not walking. It’s a 40EC taxi ride to St Georges or there is a bus-van that takes groups every morning. We did an all day Island Tour and then rented a car for a few days. We got fuel at Grenada Yacht Club in St Georges, we anchored off St Georges but it was rolly, and we anchored at Prickly Bay for a few days that was protected but still a little rolly. Everyone that we meet on Grenada and that we did business with was very nice, they treated us fairly, and we felt safe. Enjoy! Has potential, but buggy. Cannot download my maps, and poor feedback when registering a garmin device. I’ve been disappointed. And, if you reply email tech support, I did with no response for several days now. Easy access room for plenty of boats. Anchored in 6’ anchor stuck first time in good sand. We rocked a little due to a stiff breeze from the SE. I was a Garmin BlueChart Mobile user and loved it. When they bought Active Captain and stopped supporting BlueChart I switched without hesitation and paid for new charts on AC. I could not be more disappointed. So many of the intuitive aspects of BlueChart are awkward and clumsy on AC, like accessing tide and current information. 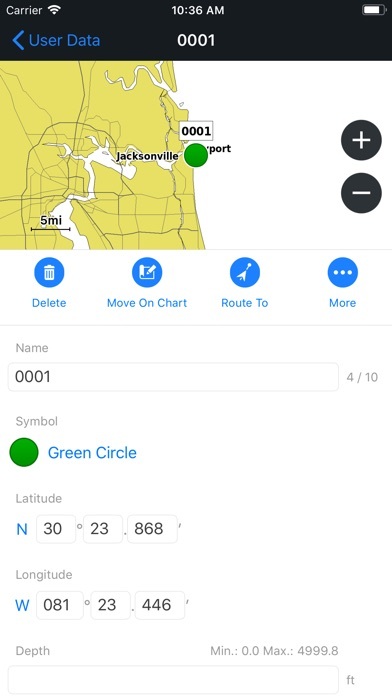 In ActiveCaptain: • Route names are limited to 15 characters (good luck with “Charleston south to Waccamaw”) • Waypoints are limited (to 500, I believe). I was trying to make a route for the ICW and it just stopped letting me add points with a message saying something about maximum number of waypoints being reached. When I clicked the HELP button and searched the exact wording of the error message I got links to ads for watches but no answers about my issue. I had literally hundreds of routes and waypoints stored in BlueChart Mobile. • On a typical ICW day of 40-50 miles and 8-10 hours the gps speed indicator will freeze at least once, sometimes more. The entire app froze several times in the 6 weeks I suffered through it, once requiring that I delete and reload it to get it to work again. • I always recorded a track in BlueChart and iNavX – important to track how far you’ve gone or how to get out of a sketchy spot by tracing your path backwards. When I couldn’t figure out where this feature had moved in AC I called support and was informed that tracking no longer exists. I have switched back to iNavX and have also downloaded Aqua Map Marine (which also uses Explorer chart data for Bahamas and has Active Captain overlay). Everything about Garmin’s ActiveCaptain feels rushed, sloppy, and thrown together, three attributes that I never allow on my sailboat. It is great now that it is integrated with my Garmin Chart Plottet.